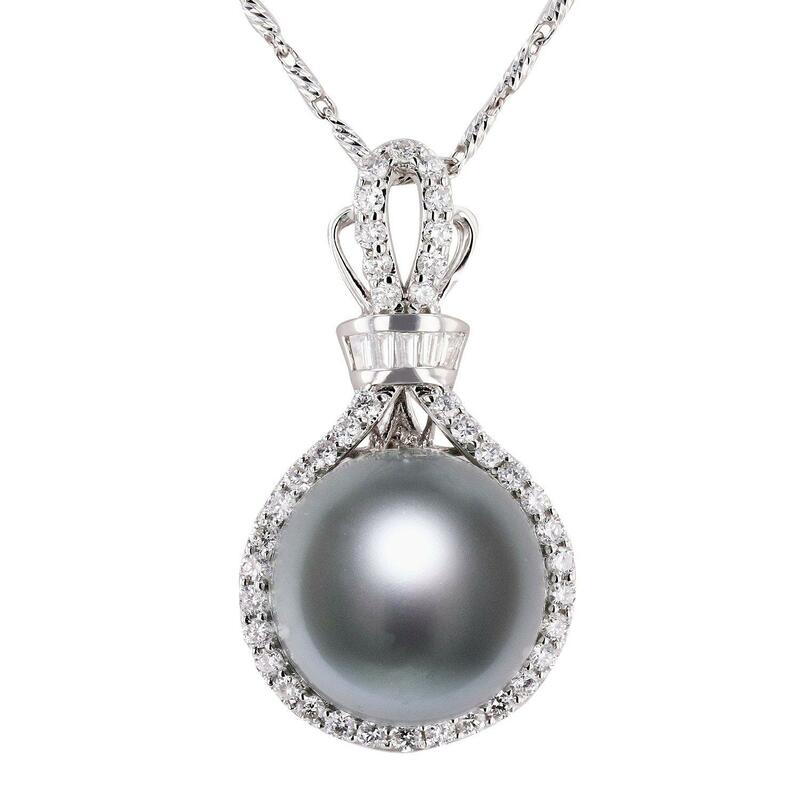 One polished, stamped, and tested 14K white gold pendant mounted with: 1 genuine cultured Tahitian Pearl, and 45 genuine faceted diamonds weighing approximately 0.53 carats. The pendant hangs from a 14K white gold link chain measuring 18 inches in length. This item weighs 8.8 grams, condition is new, excellent workmanship.